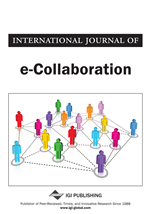 A laboratory experiment was conducted with 42 student groups to evaluate the effects of transactional vs. transformational leadership styles and anonymity when groups supported by an Electronic Meeting System (EMS) discussed the ethical issue of copying copyrighted software. A confederate leader displayed either transformational or transactional behaviors. Transformational leaders motivate effort by raising the awareness of followers to make them aspire to higher-order needs and values and by developing them to fulfill their aspirations. Transactional leaders motivate effort by highlighting the contractual exchange involved in a relationship. Participants working with a transformational confederate were more likely to make arguments that challenged the copying of copyrighted software than those working with one who was more transactional. These arguments, in turn, caused groups exposed to such arguments to have greater deviation among its members in intentions to copy the software. Participants working with a transactional confederate were more likely to make arguments in favor of copying copyrighted software. These arguments, in turn, caused groups exposed to such arguments to have a greater mean of intentions to copy the software. Implications for practice and future research on ethics and leadership in the electronic context are discussed.